NEW STORY ARC! 'GUT CHECK': Part One-Coach Boss holds sway over Craw County for one reason: he wins football games. But after the biggest, ugliest loss of his career, the coach must become more of a criminal than ever before, if he's gonna keep ahead of his enemies. Enemies like Roberta Tubb, who's come to town with a machine gun and some serious questions about how her daddy died. 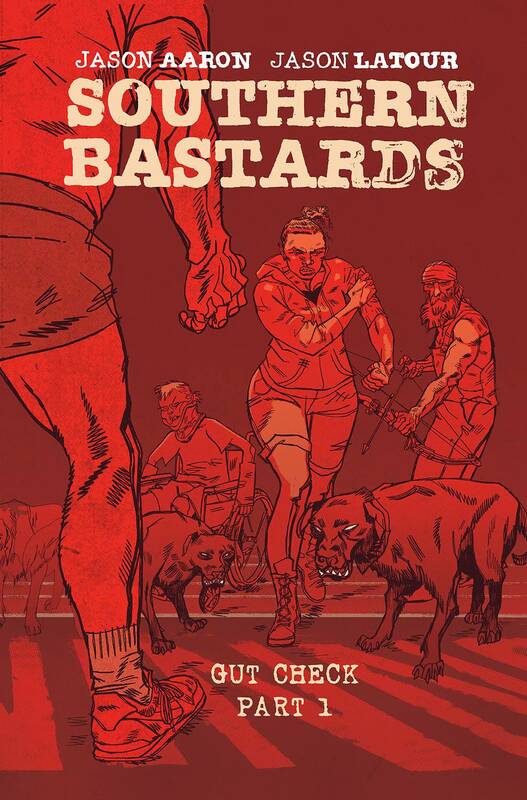 The 2015 Harvey Award-winning (Best New Series) and 2016 Eisner Award-winning (Best Continuing Series) southern-fried crime comic by JASON AARON & JASON LATOUR is back for another round of football, BBQ, and bloodshed!